What is Black Identity in the 21st Century Supposedly “Post-Racial” World? “Is there really a plain and simple description of what black identity is? Is there even such a thing as “blackness”? If so, what is it?! Often when you’re a black person, but don’t live up to the perceived idea of being “black” you will be accused of “acting white” or told “you’re not black enough”. I personally think that this mentality can be dangerous and backwards whilst also restricting and limiting our progression as black people. 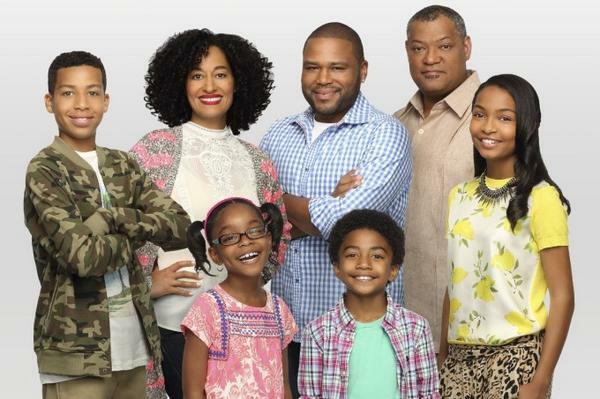 This new series, Black-ish, is clearly here to create some form of mild controversy. At the very least, it is aiming to make viewers think more deeply about black identity and create wider discussions about it. Over time, it is inevitable that more black families will continue to make the transition into middle-class incomes and lifestyles in North America, the UK and everywhere else where they are a minority. As a result, the lifestyle of black families is bound to change. As portrayed in the pilot episode of Black-ish, young black children from wealthier families may not see colour as such a major issue or barrier, particularly as they are being born into a world where society is less racist and the only American president they have ever known happens to be a black man. This probably won’t even be a factor that just affects young children from middle-class backgrounds, but eventually will be the mindset of a majority of young black children. I see it as more of a generational change than a socio-economic one. Nevertheless, the father in Black-ish, Andre Johnson Sr. (portrayed by Anthony Anderson) is uncomfortable and confused by the fact that his children fail to see colour in the same way that he does and was brought up to do, and is worried that they might not be “black” enough. At the same time, however, he is peeved when his company promotes him to Senior Vice President of the new “Urban” division – clearly signaling out his difference. But what is being “black”?! What is “blackness”?! I’m sure there have already been numerous debates, discussions, and unwritten codes about this very issue. But aren’t we all individuals?! Why is it necessary for black people to have to conform to a certain way of life or state of mind in order to be accepted as being black? As far as I’m concerned, the only thing that makes me black is the colour of my skin. Everything else about me is just a result of the way I’ve been brought up, my environment and my personality. I truly believe that it is so important that black people learn about and become aware of our history and practise our cultural heritage so that we can hold on to it, celebrate it and be proud of it. However, although it is important for us to practise this together as black communities, we are still individuals and we should live in a way that makes us feel comfortable instead of living a life that we are told to because of the colour of our skin. But back to Black-ish. I personally thought that this programme was really good. It was entertaining and has a lot of potential. I will be watching more of the episodes as the series progresses. Obviously it was over the top in places (e.g. the African rites of passage ceremony), but what sitcom isn’t? Also, isn’t that what makes them so great? 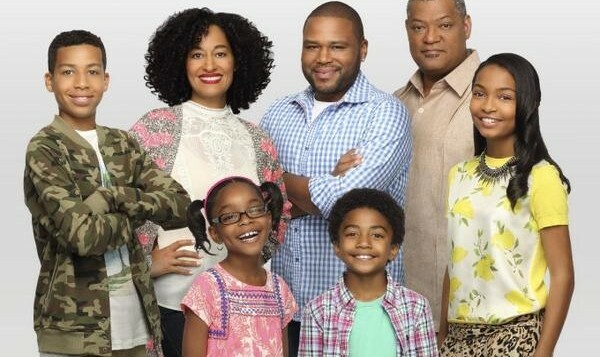 Black-ish is the type of programme that can be very enjoyable if you use it to think critically about the underlying messages about race and identity that show portrays. On the other hand, it’s not something you want to take too seriously at all because you will just end up over thinking it and not enjoying it. However, it does need discussion. Black-ish isn’t the first sitcom about middle-class black American families. 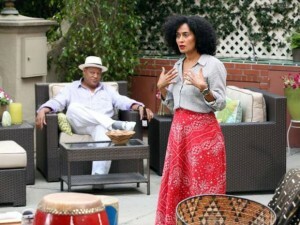 The Cosby Show, which started in 1984, is celebrating its 30th anniversary this year since its first episode aired. Even up to this day, The Cosby Show has remained one of America’s most well lovedAmerican family sitcoms. Other well-known sitcoms based around the lives of wealthy and middle-class African-American sitcoms since then include The Fresh Prince of Bel-Air in the nineties and My Wife and Kids in the early 2000s. These have been amongst some of the most popular programmes of their kind, so the portrayal of middle-class black families on television really isn’t anything new.